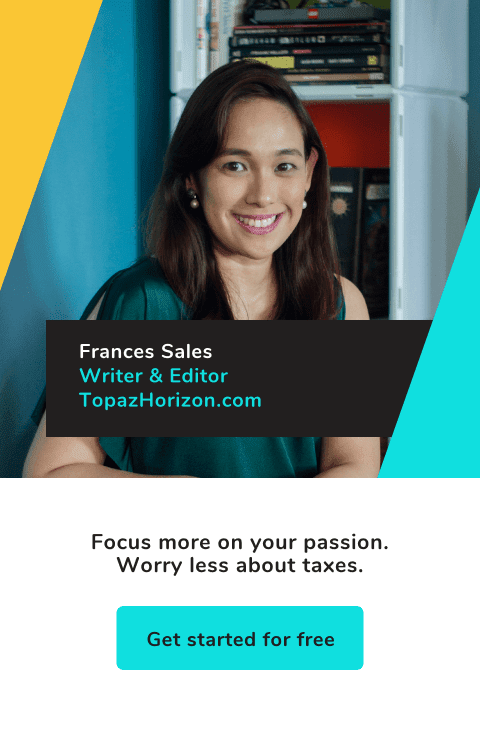 TOPAZ HORIZON: Look! I made a doll! Look! 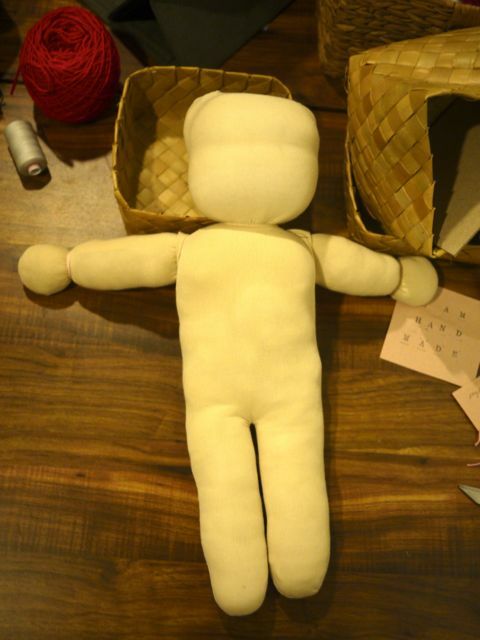 I made a doll! 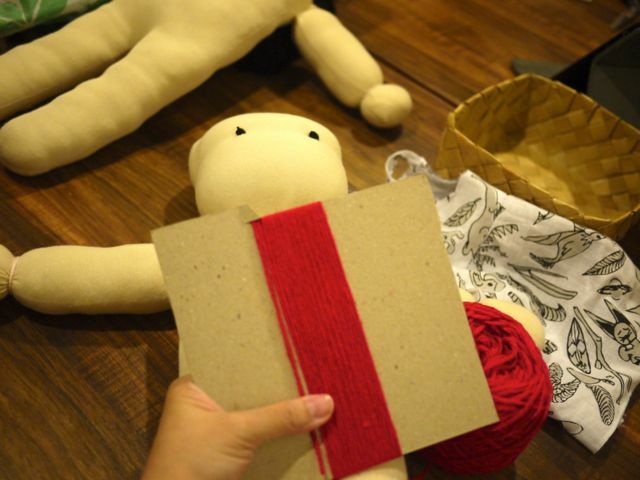 I discovered Craft MNL on my Facebook feed. One of my Facebook friends took a crafts lesson and I clicked on her photo and that's how I decided I wanted to take doll-making lessons! It all starts with handfuls of this. I forget what it's called. Let's call it stuffing! Wads and wads of this! The yarn marks the eye and temple area. Pins and needles! Yards of yarn! This is a really soft cloth. It's my doll's skin. Not very neat. Sigh. 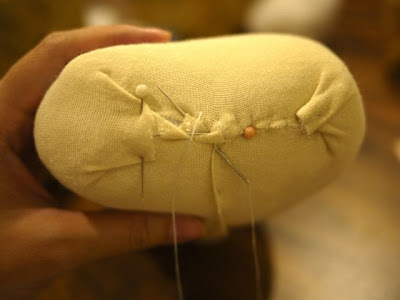 I haven't stitched in years! 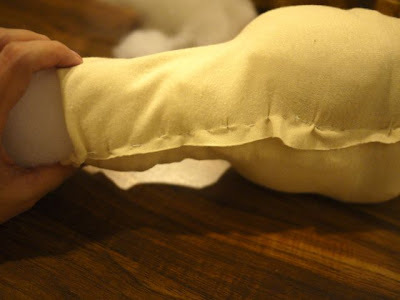 Stuffing the limbs with more stuffing! but since it's MY doll, I made her thin. 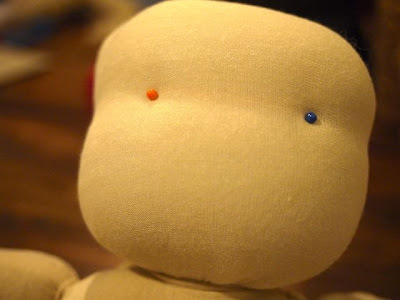 Pins mark the eyes. Then I satin stitched the eyes. 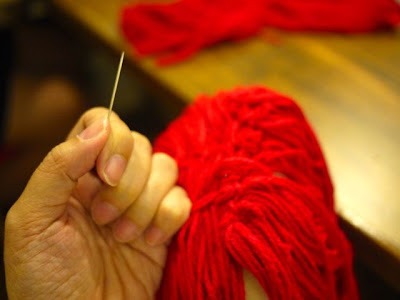 Making the hair with red yarn. Because I'm a redhead! Super cute! She looks like me! 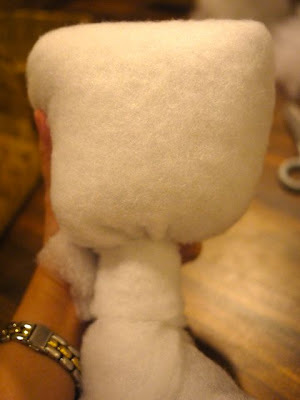 This is the most difficult part, stitching on the hair. My fingers swelled up. 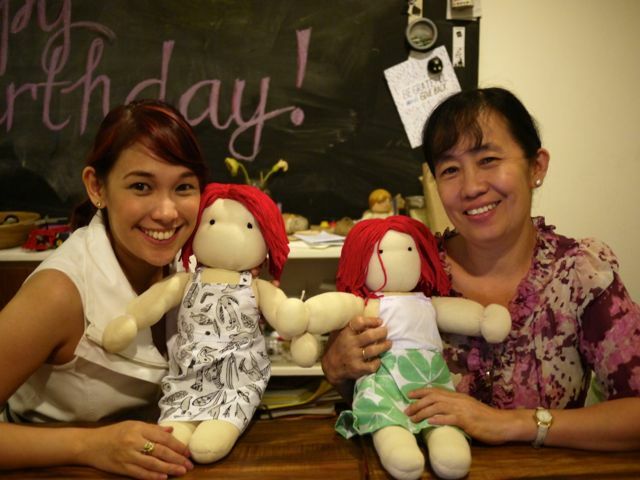 It was so much fun making my own doll! I named her Clementine, from the movie Eternal Sunshine of the Spotless Mind. I'm already thinking of what workshops to join next. 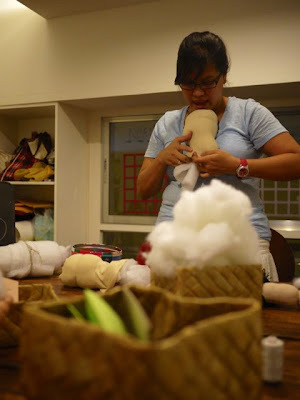 Craft MNL has tons of fascinating classes like glass etching, decoupage, bookbinding, flower arranging, making rubber stamps and so much more. They're super affordable, too. 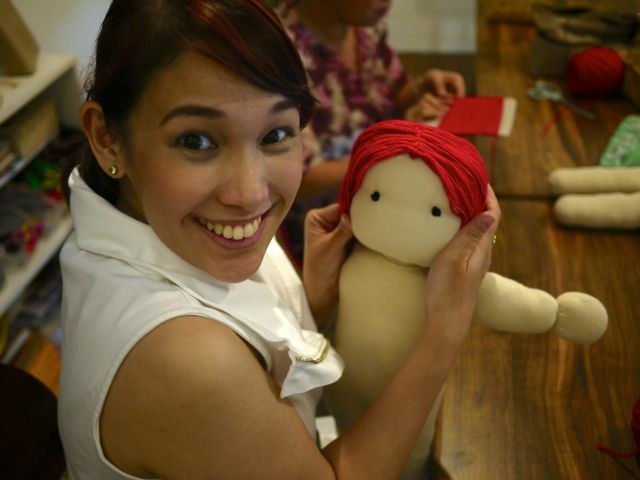 My doll-making class was just P850 with materials! I highly recommend joining workshops. The last one I joined, a writing workshop way back in 1999, I found me a hubby! Haha. So sulit talaga siya! Super cute! I wonder where you can buy the stuffing? I've been looking for some for my crochet amigurumi dolls. I've been stuffing them with cut-up old t-shirts, but they end up so dense and heavy. 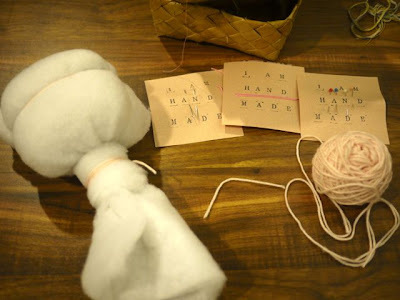 Mommy jac here or I am handmade by mom. It's called poly fiber. You can buy it per kilo in Kamuning market. Then the one we used to wrap the heads is the same thing you can use for quilts and its more accessable. It's called Fiber fill. There is in carolina in mega mall. Wow! 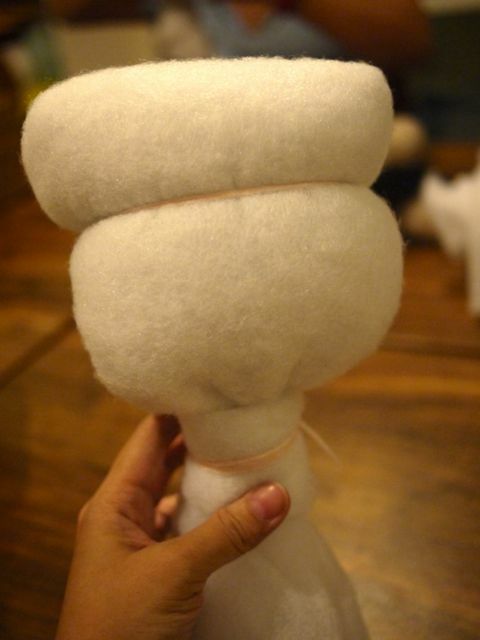 It looks like Waldorf doll. So cute! I want to make one too. :D Do they also sell doll making materials? Your dolly is adorable, Frances! 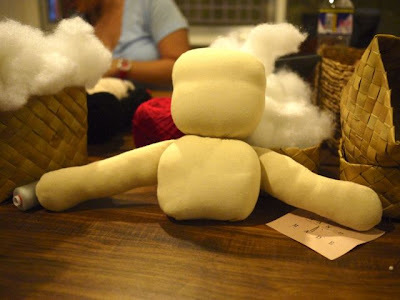 I've never tried making my own doll, but it looks like so much fun! wow, I'd like to do that! thank you for sharing. 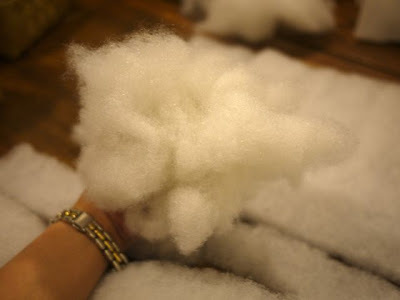 Stuffing is poly fiber. 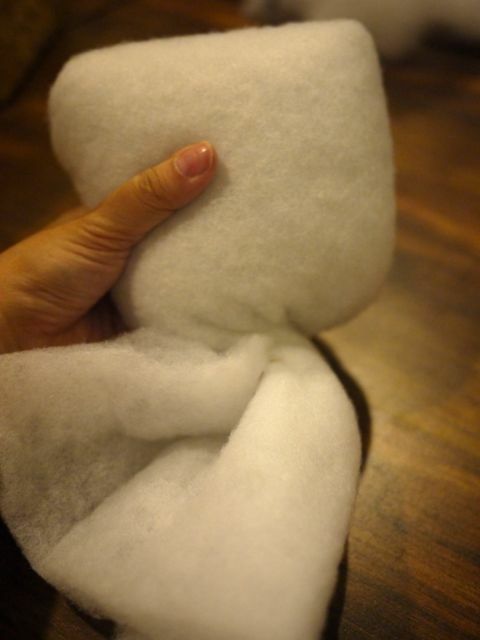 - its different from fiber fill. Its more flaky and easy to stuff with. it is sold by the kilo in kamuning market. The stuffing we used for the head wrap is fiber fill - can buy in carolina by the yard. Nope not that easy to buy as fabric warehouse and other fabric stores don't sell this. Waldorf Inspired doll - yep we used the same technique as the waldorf dolls but since we did not use cotton fill, wool yarn and wool wrap and some other technical process we just call our dolls Inspired. I make waldorf inspired dolls and rag dolls. Thanks Frances for this post. YOu were my fastest student yet and i even got to drink coffee while you all sew. :) Cheers. Frances, I figured it was you when I saw the photos on Jac's FB (she's my pseudo-neighbor, well her mom and sis are, and her son is Riley's playmate). I've been wanting to attend a workshop, too. 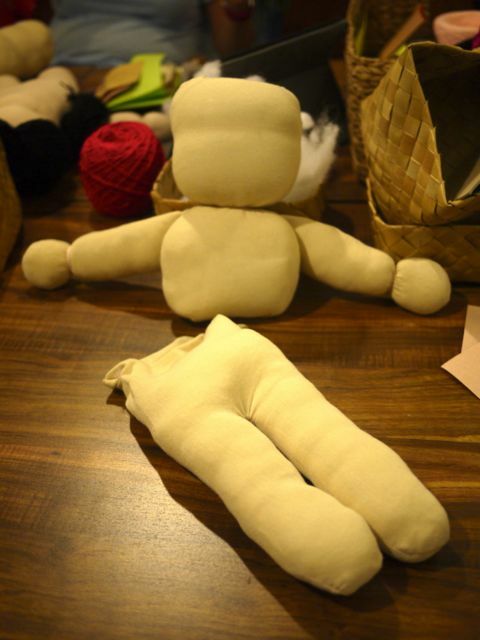 Now that I've seen actual photos, I wanna take the doll workshop! Thanks for sharing your photos! 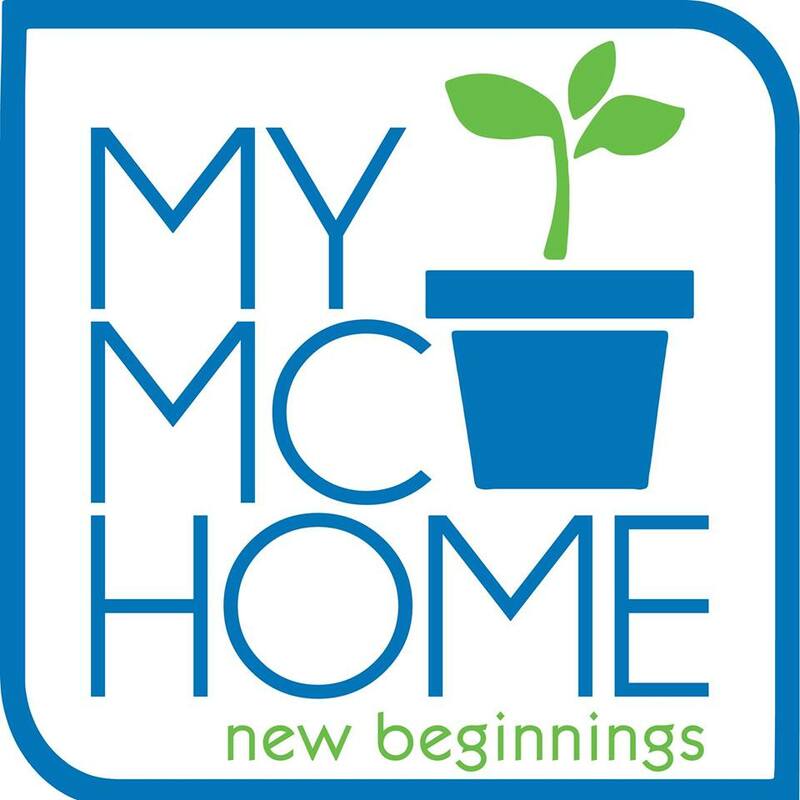 Vacation and staycation deals on Deal Grocer!